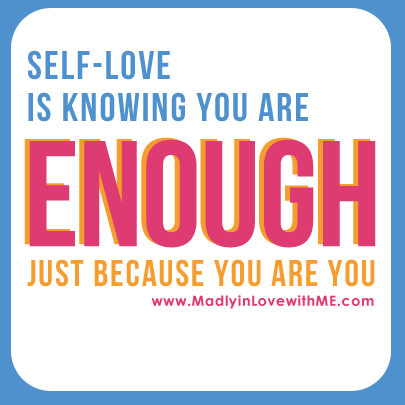 at The Love Club where we are all growing SELF COMPASSION! Connection with spirit and with others will be my commitment this week as i continue to online date even tho it has been very discouraging thus far. Very insightful and scary message. I am a worrywart (IMG), and control freak on many levels, always projecting the worst possible outcome, so this was very helpful and I will practice crying, especially since that feels so good, as I am freaked out about a situation over which I have NO control. Beautifully said! Thank you…your timing (for me!) was perfect!! Thank you for that video. I just got how self-compassion can calm the anger I have for others. Ok, Dear One, I am old so I feel like I should already KNOW all this. Hahaha! I love your video! I couldn’t watch when I joined in feb because computer was broken. So I think maybe I need some C. Mmmmm yes, Girl! Apparently I always think I have to know everything without learning it! When you said cry, I thought ok…when you said self compassion I began crying! thank you. I just love those 3 C’s for when we want control! The one I will be working on the most is Connection. I have committed to upping my connection to the Divine with my morning ritual of journaling, meditation, gratitude, and a guided visualization to do. I just love how I feel on the days I do this. So I will make sure to fit it into my mornings! Thank you for your great video! All 3…Crying has become a daily thing but it’s releasing SOOO much and I’m so grateful for it. I don’t even plan it, if emotion comes up, I sit with it, honor it, cry if there are tears, and then keep on going, a little bit lighter, a little bit stronger for the release. Connection – My daily pause every morning, returning to my faith even with questions still abounding, sharing my journey with a few close friends and having their support means more than they even know. Compassion – This one’s a work in progress but I’m certainly making an effort. Thanks for being an inspiration, Christine! I am currently a sophomore in college at The University of Texas. I transferred here just this year with the expectation to do engineering. After my first semester of taking engineering courses here at UT, my plan changed. I knew for sure I did not (and currently still do not) want to do engineering. I am very glad I figured this out about myself but the problem is, I don’t know what I want to pursue. I can’t figure out my calling. It is worrying me because I have to declare my major soon or else I will be unable to attend the college anymore and also I am running out of classes to take that are open to me being an undeclared major. Anyways I am becoming pretty worried because I just don’t know what I want to do in the very near future. This being said, I have decided to choose “Connection” as my C. I plan on become more spiritually involved with God. I consider myself to already be involved but I am deciding to really devote more attention his way. I am still worried but this sure does make me feel better thinking about it and hopefully I will grow more at ease and eventually figure out what I am being called to do. 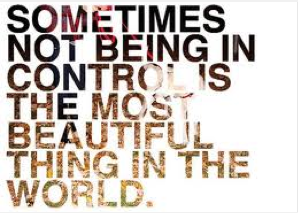 I choose to let go of control…. I choose to feel Courage in the face of any seeming Fears & take action. I choose to feel Confident in myself in any situation no matter what. Wishing you well in your travels, and your openness to discovering just the right place that the universe has for you and Noah to put down roots. My goodness – did I need this message today! Recent difficult unexpected challenges resulted in reaching for the first two C’s but not the third C.
The third C – self-compassion, is so essential for self-love, healing and joy. Thanks so much for this serendipitous and timely reminder. Wow did I need to hear this today! I could feel myself Constricting and becoming Critical and Confused – and that is not ME! I’m usually the opposite! Thank you so much for the reminder to let these things go, to Trust God Completely and allow myself to Cry! I needed that release as well! AND to extend Compassion instead of the ugliness and destructive Criticism! I needed to start living out all 3 C’s TODAY — in order to get back on track! Breathing deeply again! :-) & Trusting and Connecting again! Thanks so much! Bless you two for including us on your adventure and for being open and honest wirh us! One question for you: Does Noah have a signal phrase to help Christine snap out of the criticism mode?! Hugs from Germany! I choose to spend more time connecting to spirit and to trust how my life is unfolding (even though I want to control it). I will spend time in the morning and evening connecting to spirit. I have wonderful friends who are supporting me in love during this challenging time in my life and I am so blessed. Thank you so much for this video (the crying comes easily to me every few days so I will look at this as a good thing too instead of trying to control it). I wish you love and happiness on your nomadic adventure! I just have to say thank you Christine for this. My boyfriend may be moving to California in August (we live in Indiana). And today I had a total freakout. Thankfully, yesterday I watched this video and had a really good cry while I was on the phone with him. Probably freaked him out (lol) but I feel A TON better. We love each other and we want to work things out regardless. I feel relaxed. God bless you. I choose to let go of control! I choose Compassion. I will also let the Universe quite me to find my soulmate. I will stop worrying and criticizing myself and will let things flow and come to me while being proactive too. I choose Connection all around! To God, to myself and to the people in my life!